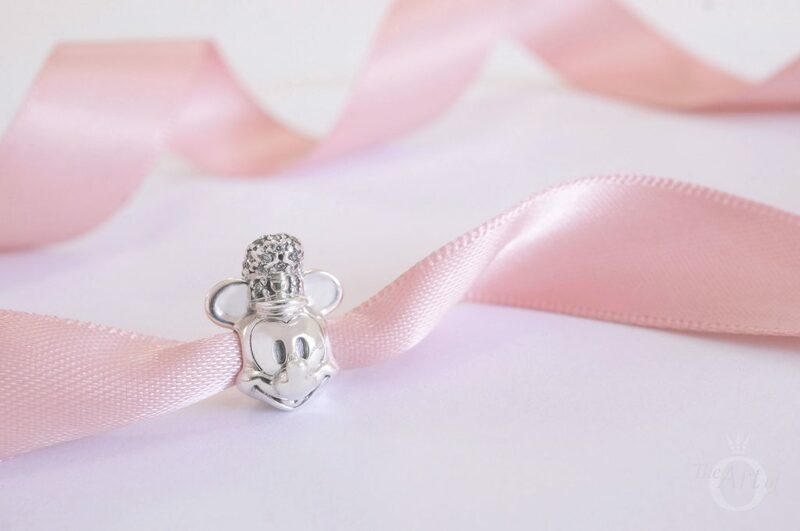 Celebrate Disney history with the iconic Steamboat Willie charm! Walt Disney was a true visionary who was jubilant when ones of his dreams became a reality in 1928, with the release of ‘Steamboat Willie’. Furthermore, this black and white short film was a milestone in animation as the first cartoon featuring synchronised sound. Notably it was also the debut of Mickey Mouse on the silver screen! As a result, its release date the 18th November 1928 was declared Mickey’s official birthday. Hence, to celebrate 90 years of Mickey, PANDORA released the Shimmering Steamboat Willie Portrait (797499CZ) charm as part of the 2018 Winter Collection. The new PANDORA Disney Shimmering Steamboat Willie Portrait (797499CZ) charm is quite similar to the Mickey Portrait (791586) charm. Besides the addition of a sparkling hat, the Shimmering Steamboat Willie charm is also slightly taller and narrower than the regular Mickey Portrait charm. Another difference is the style of Mickey’s eyes. 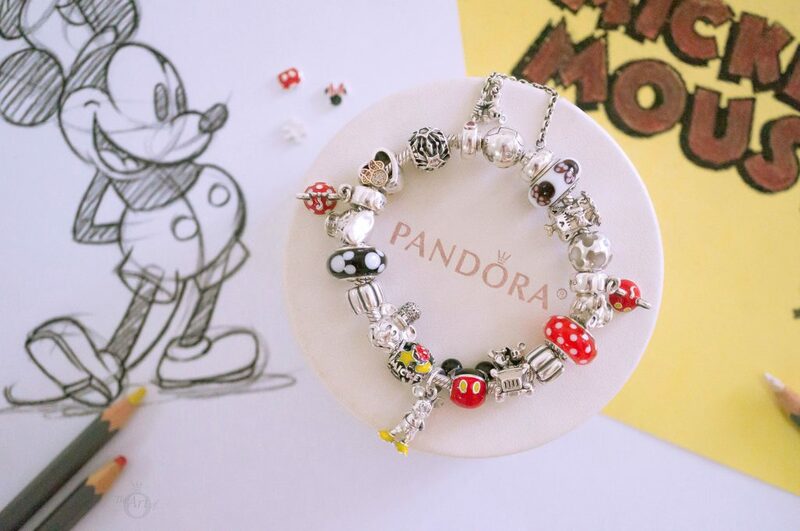 The Shimmering Steamboat Willie charm is based on the 1928 ‘Classic Mickey’ version of Mickey Mouse. Whilst the Mickey Portrait charm reflects the 1983 ‘Iconic Mickey’ adaptation. 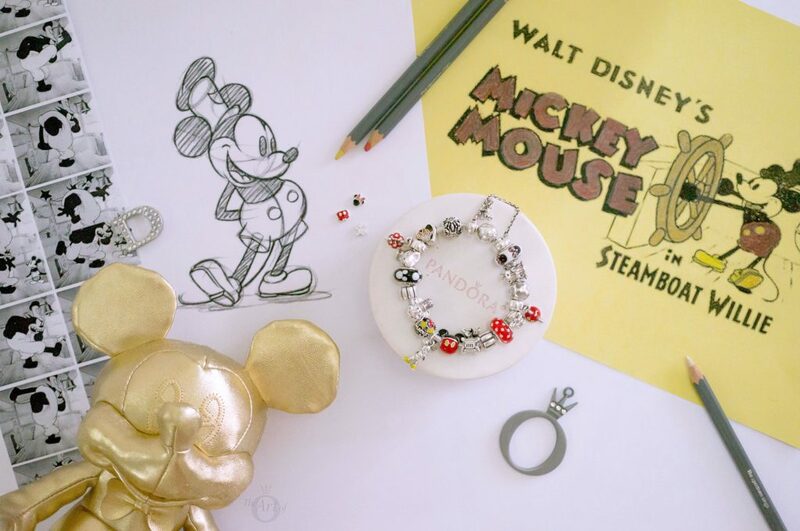 Interestingly the PANDORA Shimmering Steamboat Willie Portrait has a completely different name in the UK and is called the Mickey Vintage Hat charm. I’m not quite sure of the reason for this. Perhaps it was thought the Steamboat Willie character was not known by the British public. Or maybe the name change is a subtle tease of their love of hats (boater, bowler, baker boy, deer stalker, trilby, top hat, flat cap and more)! Whatever the reason, names aside, it is the same charm with a sparkling hat set with clear stones. While I am not always fond of cubic zirconia, in this instance they create a delightful contrast against the smooth shining silver. A hint of oxidisation highlights the detail around Mickey’s mouth and eyes. Happily the back of the Shimmering Steamboat Willie charm is free from hallmarks, which would have detracted from its’ simplicity and beauty. 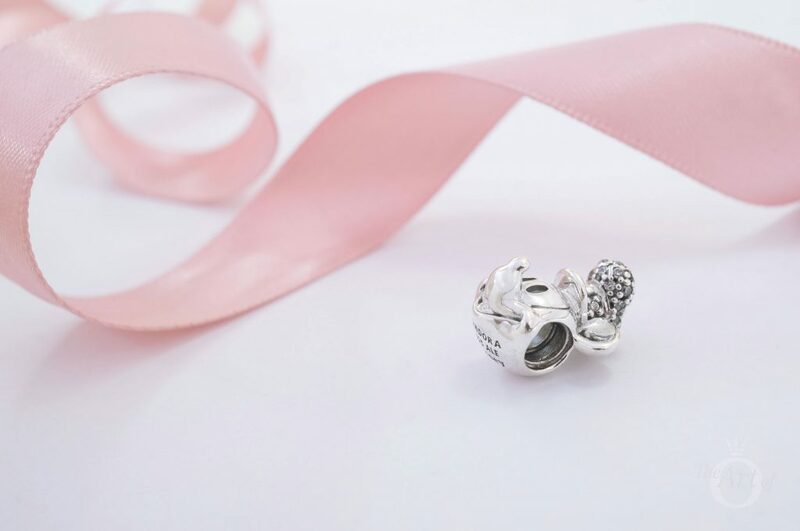 The ‘PANDORA S925 ALE’ and ‘©Disney’ hallmarks are engraved beneath the Shimmering Steamboat Willie charm. 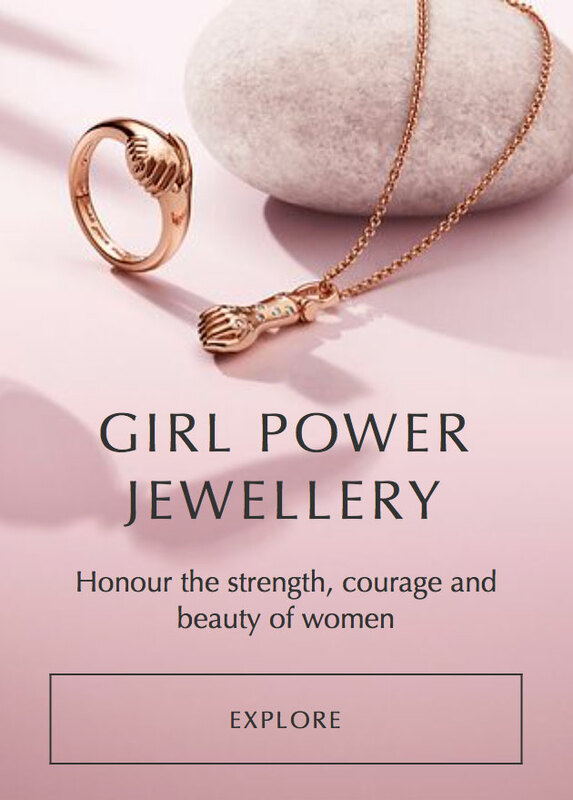 PANDORA seems to be gradually increasing the size of their hallmarks on their newer charms. In contrast the hallmarks on older PANDORA pieces are often so discreet, you need patience and a magnifying glass to locate them! The Shimmering Steamboat Willie Portrait charm has a nice weighty feel due to its relatively large size and threaded core. 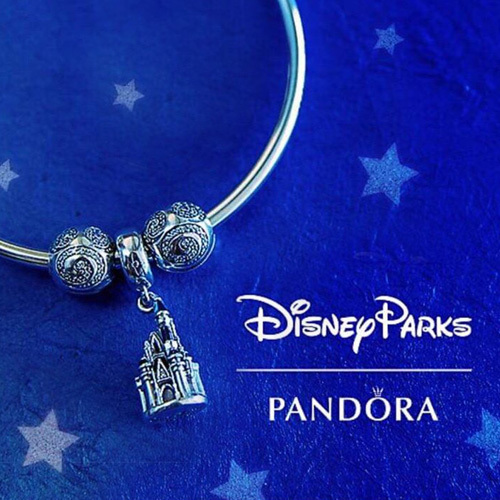 Overall, it is a wonderful charm and a definite must have for PANDORA Disney fans! 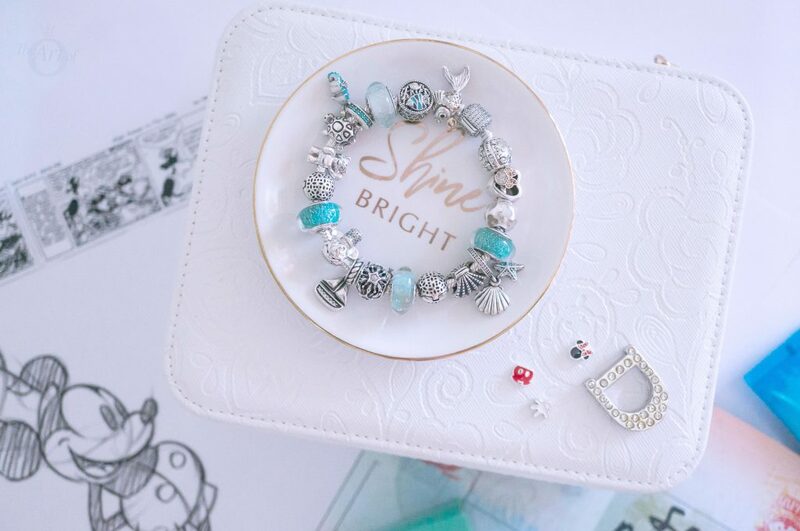 My first styling with the Shimmering Steamboat Willie charm is an aquatic Disney Cruise theme, set on the PANDORA Moments Signature Clasp (590723CZ) bracelet. The Sail Away Pendant (791138CZ) hangs centre Bow of the bracelet with Steamboat Willie sitting Portside. Meanwhile the Disney Frozen Snowflake (791563CZ) charm shines starboard, guiding the ships course. This ocean themed bracelet also tells the story of how Mickey receives Duffy, his teddy bear. Before Mickey leaves, Minnie presents him with a teddy to stop him feeling lonely while at sea. Mickey loves his new cuddly friend and names him ‘Duffy‘. The Pudsey Bear (796255ENMX) charm is substituting the PANDORA Disney Park Duffy charm and waves goodbye to Minnie. 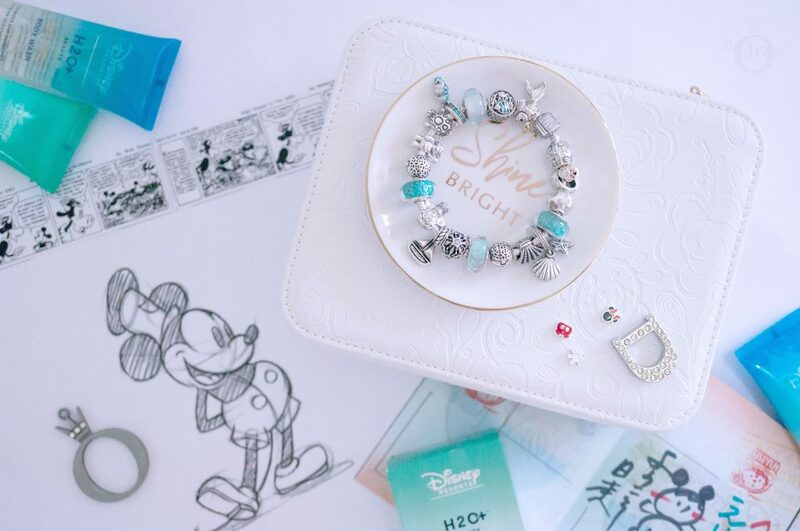 Shades of aquamarine are provided by the Ariel’s (791641) and Elsa’s Signature Colour Murano (791644) charms. While golden speck sparkle like grains of sand within the Mint Glitter (791669) Murano charm. Nautical details from the Ocean Life (792075ENMX), Tropical Seahorse (791311MCZ), Turtle (790158) and Tropical Starfish & Sea Shell (792076CZF) charms complete the look. Bright colours scatter throughout my second design with the Shimmering Steamboat Willie charm, which takes its inspiration from Pop Art and Disney Pop Culture. 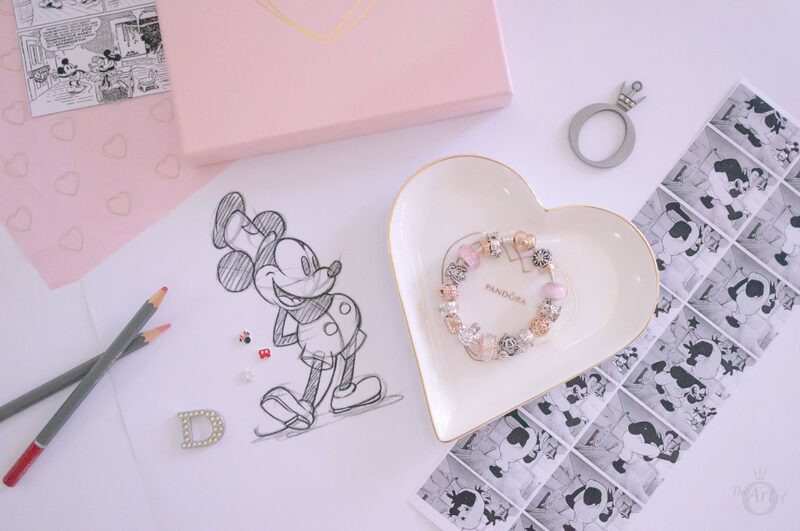 The Classic Mickey (397394EN06) pendant stands coolly at the centre of the Disney Moments Mickey Bracelet (590731CZ). Balance is provided by the PANDORA Disney Park Mickey and Minnie Ear Hat pendant charms which hang either side of the bracelet. Striking yellow enamel details on the Playful Mickey and Mickey Mania charms emphasise Mickey’s stylish boots and thread the design together. Four of the Disney Fab 5 feature in this fun styling, with Mickey and Minnie taking a drive in their Vintage Car (797174) as Donald (792136) and Daisy Duck (792137) goof around together. Animated coloured glass punctuates the design with the Classic Mickey (791633), Classic Minnie (791634) and Minnie’s Signature Look (791635) Murano charms. Finally the Climbing Mickey Safety Chain (797173CZR) locks the look. 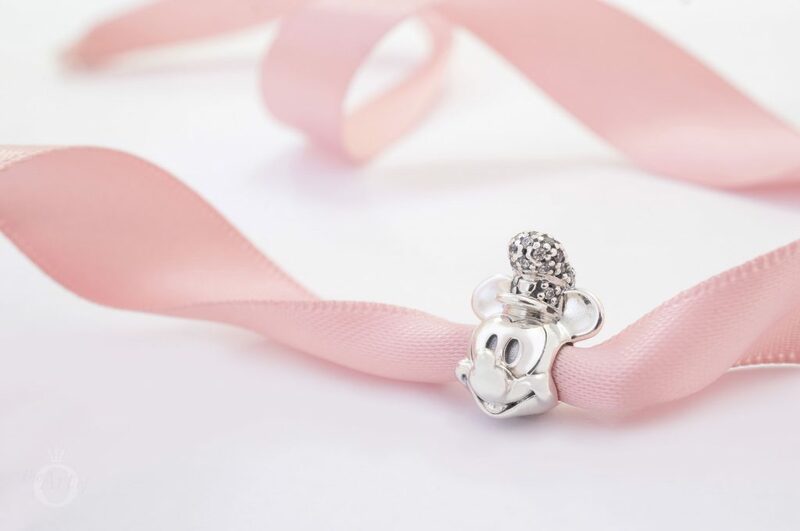 The PANDORA Disney Duck Portrait charm is currently available for £19 in the UK PANDORA eStore outlet. 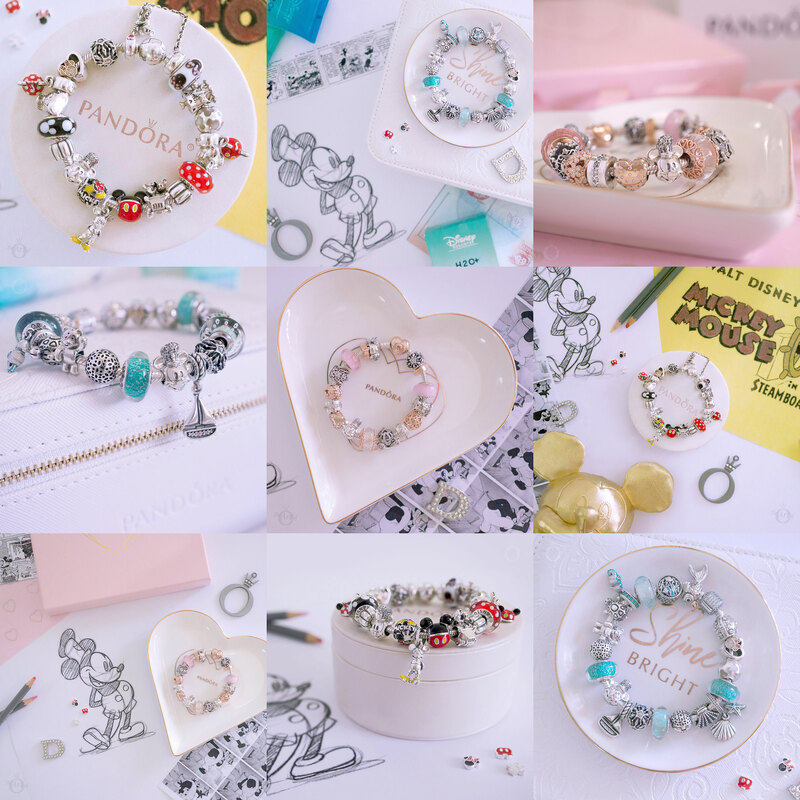 Since the release of the PANDORA Rose Disney Parks Cinderella charm many fans have been interested in creating a two tone silver and PANDORA Rose bracelet. Thus my final design with the Shimmering Steamboat Willie charm is a mixed metal style set on the PANDORA Rose Heart Clasp (580719) bracelet. 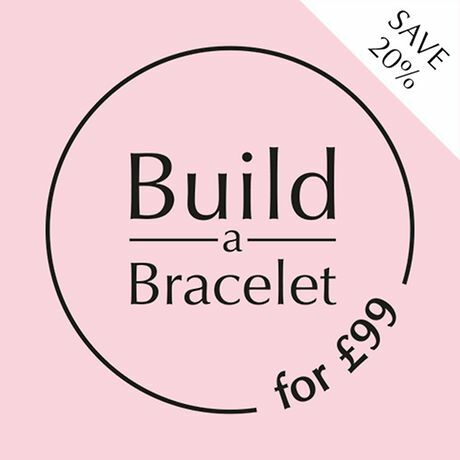 The blush colour of PANDORA Rose lends a vintage air to the bracelet which is reminiscent of old sepia films. At the centre of the design, the PANDORA Rose Iridescent White Glass (787576) charm creates an ornate focal point. Glittering beautifully on either side are the Shimmering Steamboat Willie and Cinderella’s Pumpkin Coach (791573CZ) charms. Magical Disney charms including the Princess Crown (791580CZ), adorable Snow White’s Bird (797166CZ) and Disney Parks Carousel alternate with PANDORA Rose charms. 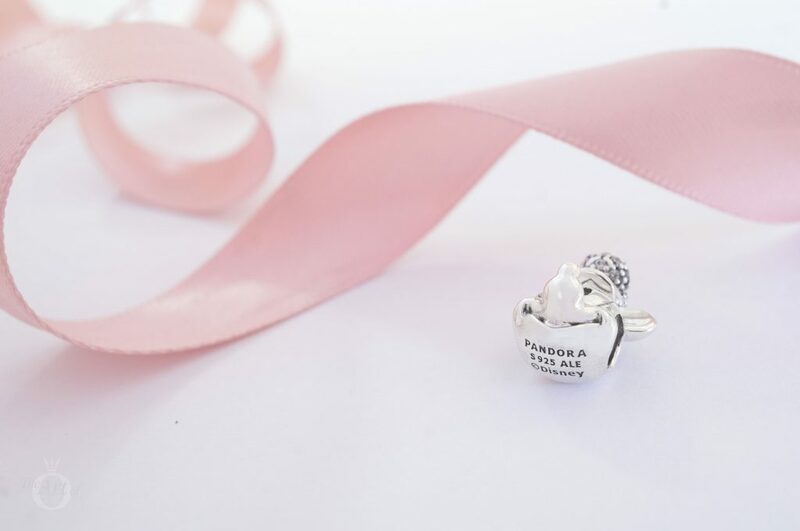 Read our review of the PANDORA Rose Iridescent White Glass charm for more style inspiration. My verdict on the PANDORA Disney Shimmering Steamboat Willie charm? Magical! Although I absolutely love the Shimmering Steamboat Willie charm, it has lost a couple of points for Wow Factor and Value. Despite being a stunning charm, it doesn’t really have a lot of Wow Factor if styled alone. But seems to look more beautiful when surrounded by charms. 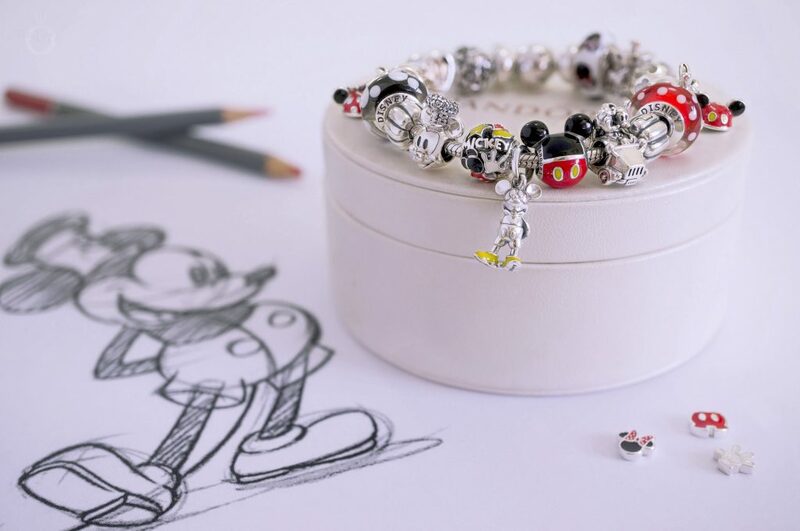 Priced at £55 or $65USD, the Steamboat Willie charm is a little on the expensive side, due to the cubic zirconia stones. Yet as such an iconic piece I was happy to purchase it. Especially as both the Design and Versatility are outstanding. Another Disney must have for me! 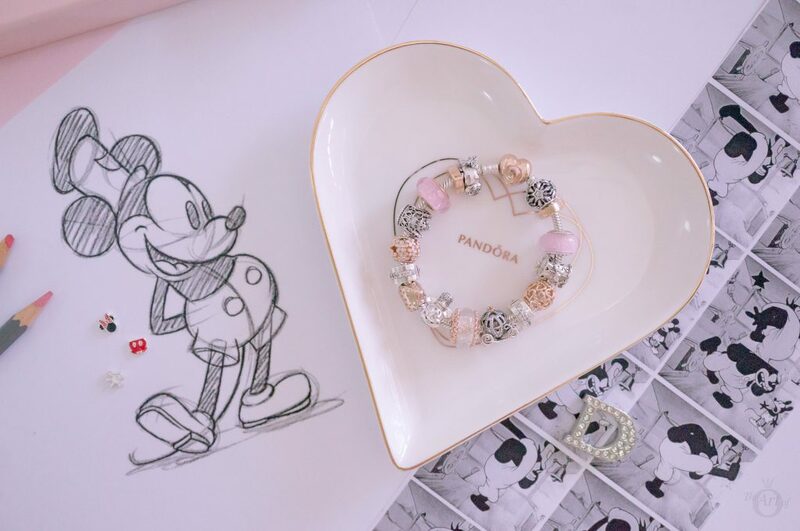 In the UK the PANDORA Disney Shimmering Steamboat Willie Portrait / Mickey Vintage Hat (797499CZ) charm is £55 and available from the PANDORA UK eStore. Thank you for your kind comment! I will try to get the Duffy charm. Maybe later in this year when I visit Disneyland Paris. I stayed at Pop Century resort last year and I loved the bright colourful figures they have. The giant Rubix cube is awesome! This is adorable!! Can’t wait to see what other Disney they come out with, especially the Lion King and Aladdin that we are all hearing rumors of. Slightly off topic, but do you know how the shine pieces hold up over time, particularly the gold plated clasp shine bracelet? Thank you for your kind comment. I’m so glad you enjoyed the review. I am also excited about the upcoming Disney releases. The Dumbo charms will be released next month! I don’t have any of the PANDORA Shine bracelets but my Shine charms still look as good as when I bought them. I store them separately in a black PANDORA pouch to avoid the plating getting scratched. 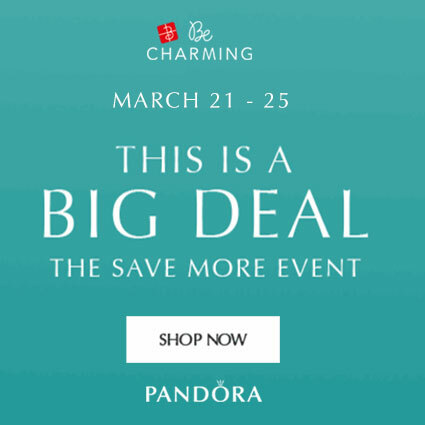 Are you thinking about purchasing the PANDORA Shine Aladdin charms? I was actually thinking of purchasing one of the shine bracelets with the gold plating on the clasp. 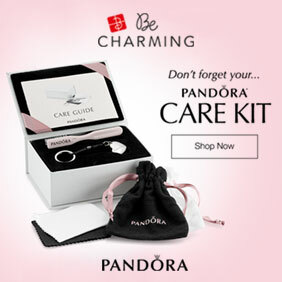 I guess the PANDORA Shine clasp will wear the same as a single charm. I’m not sure about how a whole PANDORA Shine bracelet would wear though. Maybe another reader has one? Off the subject, but does anyone know where the UK online outlet store has gone? I had a list of charms I was buying when I got paid, and now the whole thing has disappeared! The individual charms aren’t listed anywhere else either, either at full or sale price. 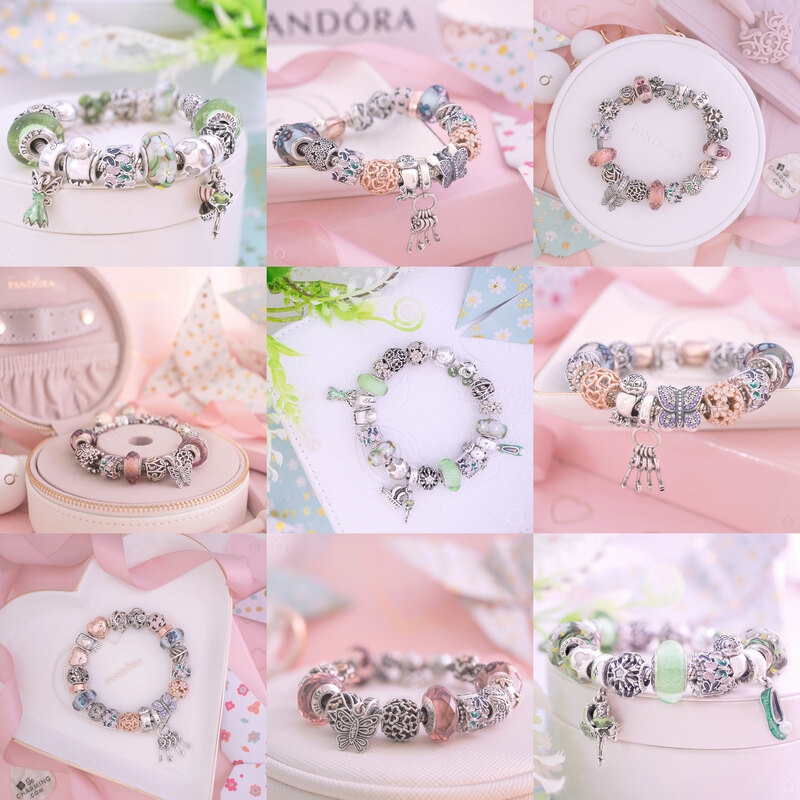 I hope it comes back, I heard Pandora was cutting down on promotions but surely they still have the charms there to sell? Perhaps it is an IT thing? Please try this link for the outlet. Thank you so much Dora! I went on and panic bought the charms I wanted most haha! I don’t need much of an excuse 😀! I don’t need much of an excuse either! The other day I had just told myself, ‘That’s it. 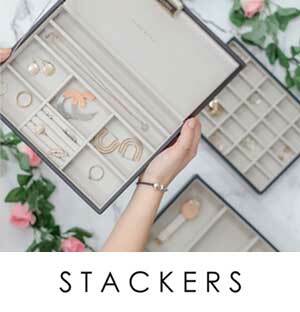 No more PANDORA shopping for a little while’. Then, not even ten minutes later I bought two charms! My reasoning was they are retired and were excellent prices so I couldn’t say no! It was the two tone drum charm and one of the spotty Murano charms. What goodies did you buy in the sale? The Ariel and Aurora muranos and the Ariel dress – I am collecting the Princess dresses and muranos before they disappear, so very excited to receive them! They are so pretty. I agree about the Disney murano beads having that something extra. I’m after rapunzel that’s been difficult as well as Snow White to find.